Sebastian von Einsiedel is the Vice-Rector in Europe for the United Nations University, based in Bonn, Germany. As the only Vice-Rector outside of UNU Headquarters in Tokyo, Japan, Mr. von Einsiedel facilitates increased collaboration of UNU with the global UN system and with key stakeholders in Europe, including Europe-based UN entities and the European Commission. He also represents the Rector of UNU in key policy initiatives, especially in Europe and Africa, and support the worldwide institutional development of UNU. 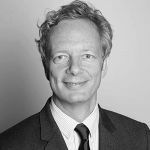 Prior to being appointed as Vice-Rector, von Einsiedel served as the founding Director of the Tokyo-based UNU Centre for Policy Research (UNU-CPR) from its inception in 2014 until its merger with the UNU Office in New York in the beginning of 2018. Mr. von Einsiedel has more than 17 years of professional working experience in the field of International Affairs, including more than a decade with the United Nations. Prior to joining UNU, Mr. von Einsiedel worked in the Policy Planning Unit of the UN Department of Political Affairs (2009–2014), where he led the development of a wide range of policy initiatives on conflict prevention, peacebuilding, counter-terrorism, and organized crime. In 2013, while on sabbatical from the UN, he was a Non-Resident Fellow with the New York University Center on International Cooperation. Mr. von Einsiedel first joined the United Nations in 2004 as a member of the research team for the UN Secretary-General’s (SG) High-level Panel on Threats, Challenges and Change, and subsequently joined the UN SG Office in preparing for the 2005 World Summit. After serving for two years as Special Assistant to the President of the International Peace Academy (now International Peace Institute) in New York, he rejoined the UN in the field, serving with the UN Mission in Nepal from 2007 to mid-2008. In 2008 he returned to New York, working in the UN SG’s Strategic Planning Unit on terrorism-related issues. Mr. von Einsiedel also served with the German Bundestag, NATO Parliamentary Assembly in Brussels, and the International Crisis Group in New York. He has published widely on the UN’s role in international peace and security and he is a frequent speaker, lecturer, and panelist. He has a successful track record of advising senior UN officials and interacting with diplomats and government officials from around the world. In addition to his mother tongue of German, von Einsiedel is also fluent in English and French. The UN Security Council in the 21st Century, ed. von Einsiedel, Sebastian, Malone, David and Ugarte, Bruno S. (Boulder: Lynne Rienner, 2015). von Einsiedel, Sebastian, Salih, Cale, Kaye, Josie L., MacClinchy, Wendy A. and Galtieri, Francesco (2018). What Works in UN Resident Coordinator-Led Conflict Prevention: Lessons from the Field. United Nations University. von Einsiedel, Sebastian, Bosetti, Louise, Cockayne, James, Salih, Cale and Wan, Wilfred (2017). Civil War Trends and the Changing Nature of Armed Conflict. United Nations University Centre for Policy Research. von Einsiedel, Sebastian and Fong, Alexandra P. (2017). The Rise of High-Level Panels: Implications for the New UN Secretary-General. United Nations University. von Einsiedel, Sebastian and Salih, Cale (2017). Conflict Prevention in Nepal: Background Paper for the United Nations World Bank Study on Conflict Prevention. Conflict Prevention Series. United Nations University Centre for Policy Research. von Einsiedel, Sebastian, Bosetti, Louise, Chandran, Rahul, Cockayne, James, de Boer, John and Wan, Wilfred (2016). Major Recent Trends in Violent Conflict. United Nations University Centre for Policy Research. Ivanovic, Alexandra and von Einsiedel, Sebastian (2016). Strengthening the UN's Research Uptake. United Nations University Centre for Policy Research. von Einsiedel, Sebastian and Yazaki, Anthony (2016). East Asian perceptions of the UN and its role in peace and security. Norwegian Peacebuilding Resource Centre. von Einsiedel, Sebastian and Bosetti, Louise (2016). How António Guterres Can Advance the UN’s Protection Agenda. United Nations University. von Einsiedel, Sebastian (2016). Assessing the UN’s Efforts to Counter Terrorism. United Nations University. Ivanovic, Alexandra and von Einsiedel, Sebastian (2016). Strengthening the UN’s Research Uptake. United Nations University Centre for Policy Research. von Einsiedel, Sebastian, Malone, David and Ugarte, Bruno S. (2015). The UN Security Council in an Age of Great Power Rivalry. United Nations University Centre for Policy Research. Bosetti, Louise and von Einsiedel, Sebastian (2015). Intrastate-based Armed Conflicts: Overview of global and regional trends (1990-2013). Occasional Paper. United Nations University Centre for Policy Research. von Einsiedel, Sebastian (2015). Non-Military Protection of Civilians in UN Peace Operations: Experiences and Lessons. Occasional Paper. United Nations University Centre for Policy Research. von Einsiedel, Sebastian, Bosetti, Louise, Chandran, Rahul, Cockayne, James, de Boer, John and Wan, Wilfred (2014). Major Recent Trends in Violent Conflict. Occasional Paper. United Nations University Centre for Policy Research.